Think | BIG, or Behavior Integration Guidance, is a process designed for USAID staff to maximize investments and accelerate impact on maternal and child survival in 25 priority countries. 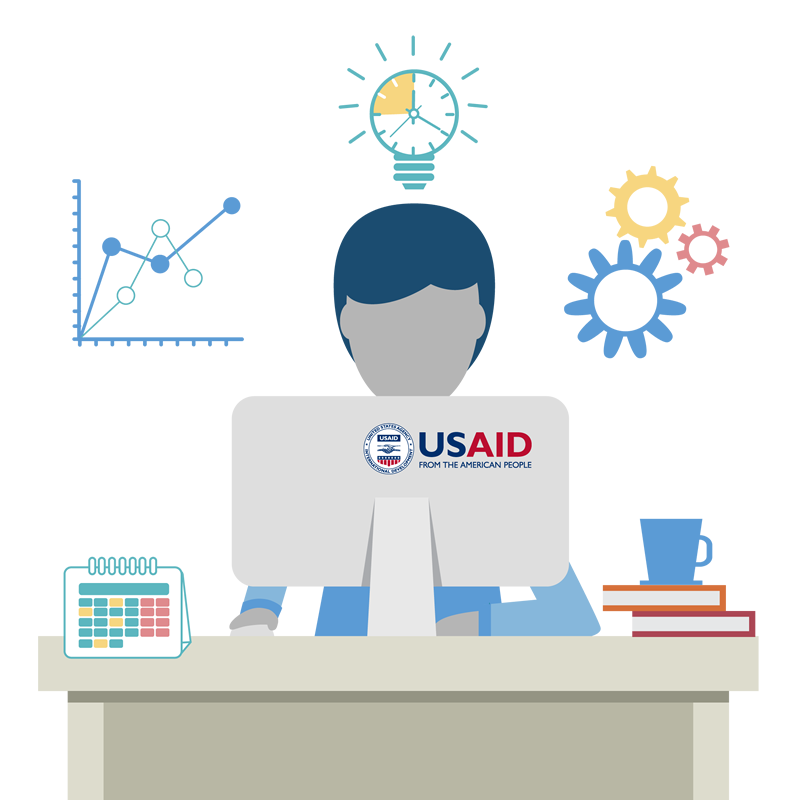 Think | BIG works by helping USAID staff focus on behaviors to achieve more rapid results and make better use of resources. Think | BIG has three sections: Focus and Analyze, Design and Manage, Track and Adapt. Click on the tabs to learn more about each of these three sections. Think | BIG starts by helping you focus on key behaviors that impact your health goal and developing your Behavioral Summary. The decisions made in this section will guide the rest of your THINK | BIG work. Click on any of the links below to view tutorials or to get started. Design and Manage offers resources to help you design, implement, and coordinate behaviorally-oriented activities and programs. Click on the links below to see specific resources. Track and Adapt includes a Country Data Dashboard to organize your behavioral outcomes, enabling data-driven adaptations and making it easier to identify and share program impact. Click on the links to see the different dashboards available. USAID/Democratic Republic of the Congo is using priority Accelerator Behaviors to guide the health team’s identification of program strategies that will contribute to mortality reduction goals and organize integrated health programs. USAID/Kenya is developing Behavior Profiles as a way to ensure current and future activities are coordinated around common factors and outcomes, and adhere to logical pathways. USAID/West Africa Regional Health Office is identifying and analyzing priority behaviors to pull its regional work together into a cohesive and aligned regional health portfolio. USAID/Senegal reviewed past projects for quality of behavioral integration and their present, integrated health project for Accelerator Behavior incorporation. USAID/Ghana applied a behavioral lens to contextual and behavioral analyses and co-creation for the development of a new health sub-strategy that will contribute to the country development cooperation strategy (CDCS).